Writers are not required to write books of history. Many writer craft creative nonfiction essays using the techniques of historical narrative. To write about history, using the historical narrative approach, writers must conduct extensive research and then write their story using the elements of fiction, literary techniques, and poetic devices. The historical narrative is highly descriptive, and so scene and description must be used. Writers are not suppose to fabricate dialogue or events. As well, they are expected to complete rigorous fact-checking. No fact should be included that has not been verified through fact-checking. There are many definitions of history. Here’s my view: The historian or lover of history studies the past, collects, analyze, interprets facts, determine cause and effect, and share the significance of the past, in an effort to teach humanity not to make the same mistakes again and to learn how to recreated the achievements of the past. Writing about history involves writing about past events, such as the Civil war, World War I, Roaring Twenties, Viet Nam War, War on Terror. Writing about history also involves writing about historical people who are now deceased, such as Mao, Hitler, Stalin, Bin Laden, Martin Luther King, Malcolm X, Margaret Thatcher, Ronald Reagan, and many more. As well, the writer can share a story about ordinary events and ordinary people, providing the story is interesting. Writing a Memoir. It is writing about a period in the person’s life, not their entire life. Often political leaders write about their experiences in public office. Anyone can write a memoir, providing it is interesting and unique. Writing a biography. You can research the person and their life, and then write a life story, including details of obstacles and setback that were overcome, achievements and accomplishments, significance to the present day. Historians often writer biographies about public figures, such as presidents and prime ministers and generals, icons of popular culture. For instance, David McCullough wrote biographies of “Truman” and “John Adams.” Other writers have written biographies on Ghandi, Hitler, Stalin, Mao, President Bush, Prime Minister Trudeau, Reagan, and countless others. Short Profile or Biography Sketch. Instead of writing a biography, many writers write a biography sketch or profile of a historical figure, artist, politician, writer, photographer, even an ordinary person. The sketch is much shorter than autobiography or biography, usually between 500 to 2,000 words. Unlike the books of biography or memoir, the profile or sketch is published in magazines or newspapers. Narrative History. You can use the elements of fiction, literary techniques, and figurative language to tell a true story about a person or event in history. You can write a creative nonfiction essay, based on historical narrative, or a book of narrative history. When writing from a creative nonfiction perspective, instead of writing a personal essay, you are writing about another person, place, event, idea, or topic in history. You are also applying the research methods and writing techniques of creative nonfiction. You are moving outward, viewing the outside world, instead of looking inward to your “self,” and those memories that are part of your past. You can view the world as a witness to history, as a victim of history, or as an author of history. When writing as a victim of history, you are writing a true narrative about how some historical event impacted you and your life . For instance, all of those who died in the terrorist attacks of 9/11 had friends and families, who were victims. Suppose you are a victim, a family member who lost a loved one in the attacks of 9/11. You could write about 9/11 by sharing historical facts of the event, by explaining the causes, and by contributing your personal reflections. When writing as a witness of history, you are an observer of the world, watching it unfold before your eyes. Every year, you are witness to many global events and public figures of historical significance, which will become stories in history textbooks, for future generations to learn. For instance, President Obama is the first black president of the United States. To understand the significance of this, you must have a sense of history–the civil rights movement, racial discrimination of blacks in American throughout history, the Civil War, and slavery of blacks. When writing as an author of history, you are researching the past, and writing about it. Either you are a historian or lover of history. Each of these roles requires that you become a subject matter expert. You must immerse yourself in the life of the person or the historical event, reading everything you can, visiting the places of historical significance, immersing yourself in the past by reading diaries, journals and notebook, watching historical film footage, gazing at vintage photographs. As an author of history, you are the historian, sharing facts, anecdotes, description, narrative, interpretation, and analysis. Your purpose is to educate, inform, and entertain. Write about real Life. Your topic will be real people, actual events, and real places. Nothing is fictional or fabricated. Conduct extensive research. You will gather facts and information and impressions from the library, interviews, Internet, immersion, and more. Write the historical narrative. You will use the elements of fiction, such as the narrative arc, literary techniques, such as showing and telling, and figurative language, such as simile and metaphor, to write the true story of history. Share personal reflection. You will share personal thoughts, feelings, perspectives with the reader. Learn about the person or event by reading. You must read autobiographies, biographies, and other informative books about history. Immersion. Visit the place where event occurred or museum that contains artifacts and other historical material. Interview subject matter experts. Contact an expert and interview them, such as historian. Or interview eyewitnesses. Make notes as you ask questions, or use a tape recorder. Use the library. Read relevant books, magazines, articles, newspaper clippings, journals, and take notes. Reading on your own. During your leisure time, read books, magazines, newspapers, and articles about historical events and historical people. Read primary sources to understand the person and place. Read diaries and letters and journals to understand the person who is now deceased. 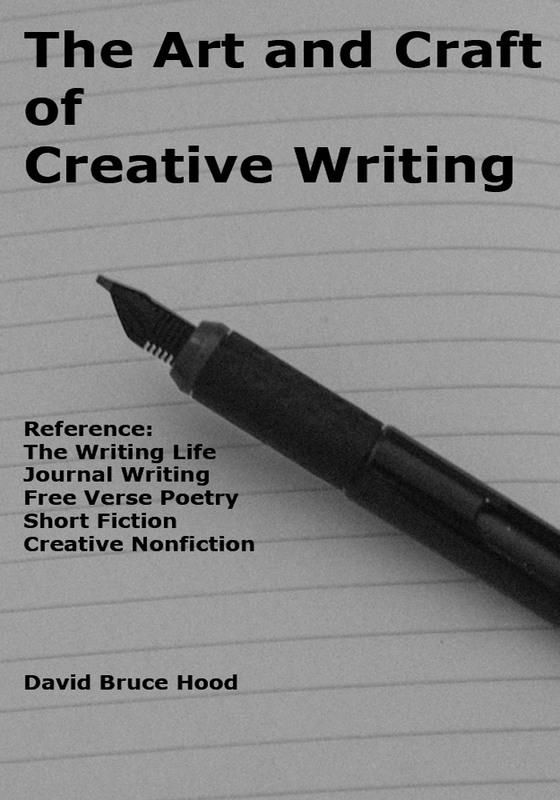 Both creative nonfiction and nonfiction writers inform and educate readers. A nonfiction history presents the facts and causes and effects, and significance. In contrast, creative nonfiction does the same, but also adds narrative history, including storytelling, dialogue, setting, character development, vivid description. The writer of nonfiction history uses an authoritative tone and third person POV (he/she). The writer of historical narrative can use the first person POV (“I”) third person (“He/she”) As well, the creative nonfiction writer uses a friendly, conversational tone, and personal reflection. The writer of nonfiction history tells the story using formal language and a matter-of-fact presentation, without personal reflection or use of figurative language, such as simile, metaphor, imagery. In contrast, the creative nonfiction writer puts into use personal reflection and figurative language. Both methods and approaches require extensive research, including immersion, interviewing eye witness or experts, reading books and journals at the library, viewing public records. Both the historian, who writes nonfiction history, and creative nonfiction writer, desire to inform, educate, and entertain readers. Don’t use jargon or clichés. Use familiar instead of unfamiliar words and simple rather than fancy words. As well, use action verbs and concrete nouns. All stories unfold in a particular setting. Include the setting details— time and place and context. Resolution. End of the story. If you are writing a profile on a person, develop the profile by describing the person’s appearance, action and reaction, and by using dialogue. Write the historical narrative using either the first person POV (“I”) or the third person POV (“he”/”she”). Use one or more scenes (showing the reader what happened) to show what happened and to describe behaviour. A scene includes setting details, action, dialogue, POV, and sensory details. Use summary to explain, to summarize, and to tell readers. As well, use personal reflection to share personal opinion. To reconstruct setting and events and people, use sensor details, writing descriptions of what the reader will see, hear, smell, taste, touch. Don’t include every detail. Instead use “telling details.” These are concrete, significant, particular details, which reveal deeper meaning than their descriptions. When writing true stories of history or historical people, don’t fabricate dialogue or events. This is writing fiction. As well, don’t add any facts without first completing fact-checking. Follow the advice in “On Writing Well” by William Zinsser and “The Elements of Style” by Strunk and White. The first draft is never your best work. Always revise the draft, completing a macro-edit (structure, tone, elements of fiction, POV) and micro-edit (grammar, spelling, punctuation, word choice, sentence patterns). Keep a history idea journal. Events unfold every day, and so record the details–your opinions, impressions, and observations of what you see or hear in the media. Keep a history file. When an event of historical significance happens, read relevant newspapers and magazines, and save the important magazine articles and newspaper clippings. Learn about history by visiting History Central . Read creative nonfiction books, which focuses on historical people and historical events. Instead of writing a personal essay or memoir, creative nonfiction writers often craft literary journalism essays and reviews about popular culture, including film, art, photography, famous people, fashion, and music. For instance, the popular magazine, “The New Yorker,” publishes literary journalism essays as profiles of public figures, perspectives on current events, essays on topics in the news, as well as film, music, and book reviews. “Harper’s” and “The Atlantic” are other magazine that publishes literary journalism essays. As well, many literary journals publish literary journalism essays, including Tin House, Epiphany, Witness. The literary journalistic essay, as it applies to writing about popular culture, involves writing true stories about people, places, events, film, books, music, photography, art, and so forth. Writers craft this category of essay by completing research and then writing the narrative using the elements of fiction, literary techniques, and poetic devices. Writers usually narrate the story from the third person POV (“he/she”) and include scene, summary, and personal reflection. Sometimes a creative nonfiction writer will play the part of a reviewer or critic, reviewing a film, concert, painting, or book. This review will include a description or summary, share the pros and cons, provide opinion and recommendation. For instance, a writer might write a literary review of a book that’s just been published, and the reader will use the review to decide whether to purchase the book. The purpose of the literary journalistic essay and review of pop culture are always to inform, educate, and entertain readers. There are many definitions of popular culture. Essentially, popular culture refers to the contemporary popular culture of a particular society, such as Western pop culture. It deals with the contemporary aspects of film, photography, art, sculpture, painting, cuisine, genre fiction, poetry, music, fashion, trends, fads, influential people, such as political leaders, rock stars, sports heroes, Hollywood starlets, video games, anything to do with the current popular culture. From pop culture, we define our tastes, likes and dislikes, identities, fashion, leisure time, beliefs, values, norms, and much more. Pop culture includes many institutions, such as Hollywood, where many motion pictures are produced. An important element of pop culture is the mass media: television, radio, books, magazines, newspapers, film, Internet. These institutions create brands that people can embrace and relate to. A particular “brand” can become an emblem of pop culture. For instance, anything Apple is now part of the pop culture of contemporary society in 2013. These institutions also shape our values, views, opinions, beliefs, and behaviour. The physical artifacts of an era are an aspect of popular culture. Digital technologies play an important role in defining our current popular culture. Most people own either a smart phone, tablet, such as iPad, or digital music play, like the iTouch. Most people surf the Internet for work, or entertainment, or leisure. Many people use the computer to access social media, such as Facebook, to connect with friends and share their lives. Many use the computer to access YouTube to watch and post videos and Flickr to view and post photographs. It seems that young people now spend more leisure time surfing the web, text messaging, visiting Facebook than watching television. The masses have embraced digital photography, capturing an endless stream of snapshots with their smart phones or point-and-shoot digital cameras. Everyone is now a digital photographer. Digital technologies pervade the popular culture of 2013. Serendipity often creates pop culture. Fads and trends happen by accident or chance. For instance, in the late 60s and 70s, long hair was fashionable for men. Now many men “crop” their hair as though they are enrolled in the army. Men and women adorn their bodies with a coloured tattoos. These trends arrived by accident, pure chance. At some point, the trends will depart, and be replaced by something new. Influential people, such as Michael Jackson, Steve Jobs, or Bono of U2 also create popular culture, and shape how we dress, think, and act. For instance, Steve Jobs was the “mastermind” of the digital technologies which pervade contemporary life, such as iPad, iPhone, and iTouch. Any definition of popular culture most include Zeitgeist. It is a German word, which means “the spirit of the age” or “spirit of the time”, and refers to the cultural, political, ethical, intellectual, spiritual climate of a culture during a specific era or time frame. The spirit of a particular era will include the shared views, shared attitudes, shared feelings, shared tastes, shared morality, and shared preferences toward war and technology, political movements and religion, economic conditions and types of work, new scientific discovers, or anything that is part of society. Think of zeitgeist as the “collective consciousness” of a particular generation. To understand it, you’ll have to conduct research on the Internet and in the library, uncovering the significant events and people and artifacts. Then you’ll have to analyze this popular culture and write the essay, providing examples, which illustrate the idea of collective consciousness. For instance, a decade from now, people will look back and see that digital technologies, such as the iPhone, iPad, Internet, social media, were important aspects of our collective consciousness. To assist you understanding the “spirit of the time,” use the Google Search called Google Zeitgeist . It will tell you what is on the minds of people. For instance, in 2010, according to Google Zeitgeist, the iPad, Master Chef, Justin Bieber, were some of the most popular searches, and on the minds of millions of people around the world. You might then ask: Is there a spirit of hope or hopelessness, progress or regression, optimism or cynicism, alienation or inclusion? When writing a literary journalistic essay, writers use popular culture in several ways: They use popular culture to provide context to a story. They write as subject matter experts on some feature of popular culture, or as a witnesses to some aspect of popular culture, such as film, art, photography. Play the role of reviewer and write reviews on books, film, music, art, theatre, and more. The writer, often a subject matter expert, writes a commentary or opinion on some an entertainment personality, film, music concert, event, issue. The writer might write as a witness. For instance, the writer might craft a personal narrative about a visiting to the Art Gallery, such as the Museum of Modern Art or attending the Bruce Springsteen concert, or what it feels like to cheer for a losing football team, such as the Buffalo Bills. The writer can play the role of reviewer or critic. For instance, experts in film write film reviews, ,experts in music write music reviews, experts on art write literary journalistic essays about painting, sculpture, photography. To review some “art form,” the reviewer must experience the art. For instance, if the writer is writing a book review, the writer must first read the book. If the writer is writing a film review, the writer must first watch the film. If the writer is writing a review on some painting or sculpture or installation or photograph, the writer must first attend the exhibition. • Write about real life, real people, actual events, real art forms, and actual places. • Write an essay or review about some feature of popular culture. Use immersion and other tools of research, facts, and fact checking to write the essay or review. • Include personal reflection. Share your personal thoughts, feelings, perspectives about popular culture. • Read widely and deeply. Read books, magazines, articles, essays, commentary, Internet blogs to understand to the topic, issue, event, or person. If you intend to write about pop culture, you must stay informed and conduct research whenever you have a topic to write about. • Music. If you intend to write about the music scene, including singers, song writers, artists, bands, rock, pop, soul, rap, jazz, begin by reading “Rolling Stone” magazine. • Film. If you want to learn and write about film, turn the pages of “Sight and Sound” magazine. • Fashion. If you desire to become an expert on fashion, read “Vogue” magazine (for women) or “GQ” magazine (for men). • General entertainment news. Stay informed by reading “Entertainment Weekly” and “The New Yorker” magazine, and by reading the entertainment section of your newspaper. • Literary journals. These are specialized publications, illustrating the best of some an art form. For instance, to read short fiction and poetry, read the journals Granta, Epiphany, Witness, Tin House. 1. Interview subject matter experts. Contact an expert and interview them. Make notes as you ask questions, or use a tape recorder. 2. Immerse yourself in the story. Attend a music concert, or watch the film, visit the art gallery, and then make notes. 3. Use the library. Read relevant books, magazine articles, newspaper clippings, and take notes as you read. 4. Use the Internet. Conduct a search of your topic using Google search, to learn what has been written on the subject and where there are books, magazines, journals, subject matter experts. 5. Complete primary research. A primary source is a record created as part of, or during an event, crisis, or time period. For instance a letter, diary, personal journal, and government records and governmental report. 1. Love the art form or medium you are reviewing. In other words, if you don`t like film, be sure not to write a review. It will be tainted. 2. Don`t tell the readers everything. For instance, if you`re writing a book review, don`t tell the readers the ending. Provide them with only enough detail to convince them to read or ignore the book. 4. Use a minimal writing style to express what you think and observe. • Summarize what you observed, heard, or experienced with your senses. • Share pros and cons. • Give you opinion. Tell readers whether you like it. • Make a recommendation. Should the audience see the film or read the book or visit the art exhibition. • Title. Does it indicate what the book is about? • Preface. Does it tell you the purpose of the book? • Table of Contents. Does it indicate what the book is about? • Glossary. Does the book include a glossary? Does it appear useful? • Index. Does the book include an index? Is it useful? After scanning through the book, jot down your impressions. Next, research the author to find out what his/her biases, views, expertise, and other books he/she has written. Your first paragraph needs a hook, which grabs your reader’s attention. You should also include the name of the author and title of the book. The body of your review requires a summary and should identify some of the most important strengths and weaknesses of the book. You should conclude with a recommendation. Most book reviews include information about the author, such as the author’s views and biases, the author’s expertise on the subject, other books that the author has written. A good book review identifies the types of readers who will enjoy reading the book, and it indicates whether the information in the book is useful to the reader. Many good book reviews also state whether the book expands on the existing body of knowledge. • Resolution. End of the story. If you are writing a profile on a person, develop the profile by describing the person’s appearance, action and reaction, and by using dialogue. Always answer the question: Who is this person? Write the literary journalistic essay on popular culture using either the first person POV (“I”) or the third person POV (“he”/”she”). If you’re writing a narrative, write one or more scenes (showing the reader what happened) to show what happens. A scene includes setting details, action, dialogue, POV, and sensory details. Use summary to explain and tell readers background information. As well, use personal reflection to share your impressions and emotional truth (How does it feel to you?). To reconstruct setting and events and impressions of people, use sensor details, writing descriptions of what you see, hear, smell, taste, touch. When writing true stories of popular culture or people of popular culture, don’t fabricate dialogue or events. This is writing fiction. As well, don’t add any facts without first completing fact-checking. 1. Schedule a “Creative Date” each month. Examples: Visit the art gallery, go to a concert, buy tickets to watch a movie. 2. Stay informed. Read the entertainment section of the newspaper to find out what is going on in your city or town; read pop-culture magazines, such as “Entertainment Weekly”; watch the news and listen to the radio; read articles on the Internet, including the blogs and websites; watch YouTube videos and connect to Facebook and other social media. 3. Keep a writing journal. Make regular entries about pop culture in a writing journal. 4. Become and expert. Enroll in a photography, art, poetry, film study, music course. 5. Consider writing a speculative narrative. For instance, you might see a piece of art in a gallery, and then write a description using sensory details, and then rely on your imagination to determine the meaning of the art. 6. Remain aware of the fads and trends. Regularly, Ask yourself: What are the fads? Trends? What’s popular in your culture? How does film, fashion, music, art influence you? How have books influenced your life? How has the smartphone, tablet, digital music player, or digital camera altered your lifestyle? 7. Make popular culture part of your life. Immerse yourself in film, art, literature, photography, music, and you will see view the world from a different perspective, a viewpoint that will enable you to write about popular culture. Before writing a profile, the writer must answer the question “Who is this person?” If the writer knows the person, the writer will rely on memory and observation and personal experience to write the profile. For instance, Charles Simic wrote a profile about his uncle called “Dinner at Uncle Boris,” which is based on a dinner at his uncle’s home. If the writer doesn’t know the person, the writer will conduct research, interviewing the person, visiting various places where the person works, lives, socializes, observing the person in their daily life, reading books, articles, and other material on the person. A good profile includes telling details, dialogue, and storytelling. The writer will also use scene, summary, and personal reflection. A good profile is also interesting, profiles someone new, encourages the reader to think more about the person. A good profile informs, educates, and entertains readers. Some profiles have a serious tone, and other have a humorous tone. A profile is not a book-length biography, which is an in-depth description of the life and times of another person. Nor is the profile a book-length autobiography, which involves writing about one’s own life. The profile is usually only a few pages and published in magazines or newspapers as an essay. The writer can profile someone he/she knows or a stranger. As well, the writer can profile someone ordinary or extraordinary. Sometimes the profile is about the good guy. The writer profiles a person who wants to achieve or accomplish something worthy. Perhaps the amateur athlete dreams about winning a gold medal at the Olympics, or the starving artist desires to achieve fame and fortune, or the writer aspires to write the next bestseller. Some profiles are about “the villain.” In the September 24th, 2012 edition of the New Yorker, Malcolm Gladwell writes a profile about child molesters called “In Plain View: How Child Molesters Get Away with It.”” In the essay, Gladwell narrates two stories about pedophiles, to illustrate how the sexual predator uses “trust” to create the opportunity to abuse a child. The writer will include details about the person’s private life, psyche, and public world. The inner world deals with the person’s thoughts, feelings, opinions, views of other people. In writing about the outer world, the writer identifies some of the important setbacks and obstacles, as well as the significant accomplishments and achievements. The writer can profile someone he/she knows or a stranger. If the person knows the person he/she will profile, the writer can create the profile from memories, observations, and personal experience. To write a profile about a stranger, the writer must have access to the person. Having access allows the writer to interview and to observe the person at work and at play. The writer will also interview family, friends, and work associates. Sometimes a portrait isn’t based on an interview but a conversation. For instance, Charles Simic wrote a profile called “Dinner at Uncle Boris,” which is based on a dinner and evening conversation with his uncle. He includes humour, telling details, dialogue, scene and summary, and personal reflection to construct the portrait of his uncle. Why is the writer profiling the person? What is unique about the person? What is significant about the person? What are the person’s achievements or accomplishments? What obstacles or setbacks did the person have to overcome? Why is the person in the news or public consciousness? Does the writer likes the person? Dislike the person? Why? The best profiles answer the question ” Who is this person? Unfortunately, people perform many roles, such as husband, breadwinner, parent, and so the writer will not be able to write a complete profile. No matter how much research the writer completes, the writer will never know the person completely, because people have darks sides they don’t share and personalities traits that aren’t always revealed. Cradle-to-Current Profile. It is a profile about the person’s entire life, up to the present. The writer invests a great deal of time in researching, writing, and fact checking. Paragraph Profile. This type of profile is brief, providing essential details about accomplishments or achievements, and the person’s significance to the story. It is a paragraph or two, and part of a larger story. Begin by searching the Internet to find out what else has been written about the person. Start by completing a Google search. By reading what other writers have written, you can obtain a general sense of the person, such as their level of education, work accomplishments, interests, tastes, reason for being in the news. What are the events or moments that shaped your life? What are your biggest accomplishments and achievements? What setbacks or obstacles have you faced? What are your fears and worries? If the person is deceased, you can sometimes uncover their inner world of the person by reading their diaries, journals, letters, Facebook profiles and other social media. If the person is a well-known public figure, you can read a biography about the person. If the person has written their own autobiography, make sure you read it. How do you know when to stop researching? You must continue to research until you have sufficient “telling details” to write a profile that’s compelling. Your goal is to create a revealing, interesting, and entertaining profile. Many of the best profiles are written as narratives. The writer crafts true story involving a central character. For instance, Charles Simic, In “Dinner at Uncle Boris,” profiles his uncle, writing a story about a dinner conversation. Annie Dillard, in “The Stunt Pilot,” profiles a pilot flying a stunt plane. Dialogue. Use interviews or immersion to capture interesting quotes of the person you are profiling. Use these quotes in your profile. Description of Appearance. Observe the person you are writing about. Make note of their physical appearance, including hair style, clothing, gestures, hygiene, and so forth. Use concrete, particular, significant details to describe the person. Dramatic action. Show what the person does, their actions and reactions, in the narrative. Use both the first person POV(“I”) and third person (“he/she”). For instance, in the profile “The Stunt Pilot,” Dillard uses third-person POV to write the narrative of the pilot flying in the sky, performing his daredevil stunts, and to provide narrative summary. She begins: “Dave Rahm lived in Bellingham, Washington, north of Seattle…Dave Rahm was a stunt pilot.” She shifts to first person POV (“I”) to share personal reflections about the stunt pilot. Use a scene to recreate important events. A scene always includes setting details, dramatic action, vivid description, dialogue, and POV. Use summary to “tell” or explain. Use personal reflection to express your views about the person, sharing your own thoughts, feelings, opinion, emotional truth. To reconstruct setting and events and people, use sensory details, writing descriptions of what you see, hear, smell, taste, touch. Don’t fabricate dialogue or events. This is writing fiction. As well, complete fact-checking. Follow the advice in “On Writing Well” by William Zinsser and “The Elements of Style” by Strunk and White. As well, read “The Writer’s Portable Mentor” by Pricilla Long. Select a person to profile, and then begin with an interesting question you want to answer. If you are going to profile someone you know, mine your memory, observe the person in real life, and write about some significant event. (In Dillard’s profile, she answers “what it is like to be a stunt pilot?”) If the person is unknown, collect your material by researching the person. After doing the research, decide on an approach. How are you going to begin? With a scene? With a quotation? With a question? Before writing, outline your story. making a list of all the important points you want to write about. Always focus on what is significant or compelling. What is surprising? What is important? Any secrets? Oddities? Peculiarities? Contributions to society? What is their legacy? Show and tell your reader. You tell the reader by explaining and summarizing. You show the reader by writing in scenes. For any significant event, write a scene. Include dialogue. A good profile includes dialogue, revealing some personality trait. Include telling details. A good profile includes vivid description, revealing some personality trait. Don’t create one-dimensional portraits or profiles. Every person has a dark side. Every person has attributes you don’t admire. Share these telling details with the reader. Your subject is living an epic. In other words, the profile fits into a larger story about life. Consider the larger story as you write. Every story has a theme, a universal truth, shared meaning. For instance, Steve Jobs was one of the great inventors and innovators. He was a visionary who reshaped communication, use of leisure time, and everyday life with digital technologies. Most magazines and newspapers and popular Internet sites of creative nonfiction include humour columns, or articles, or essays. For instance, regularly, The New Yorker magazine publishes essays that have a humorous tone. In The New Yorker’s anthology of “Humour, Disquiet Please, ” writer Ian Frazier uses exaggeration in his essay “Thin Enough.” He writes: “After four or five glasses of wine, I am able to overcome my usual food-finickiness and eat half a crock-pot of whatever my wife has made for dinner, and then a couple of baskets of leftover Easter candy. (Page 234).” People enjoy reading a good story, when the writer combines humour and an appealing writing style. In his bestselling book, “On Writing Well,” author William Zinsser, writes that “humour is the secret weapon of the nonfiction writer.” It is often the best tool and only tool for making an important point. (Page 206) Usually, the writer uses humor in nonfiction to make a serious point and also to generate a laugh or amusement. The writer must find the right humour technique or techniques to disguise his/her serious point. Read the books by David Sedaris, a humorist writer, who uses exaggeration to make a serious point. Writers also use many other types of humour techniques, satire, irony, satire, exaggeration, joke, truth, and more. And yet, the writer doesn’t always write humour to make a serious point. Sometimes the writer only desires to share a funny story with readers, with the intention of generating a comic effect. Sometimes writers use nonsense to make readers laugh. Frequently, all that is required of the writer is to exaggerate the truth. Sometimes the truth is funny, especially when the writer uses absurd facts or ludicrous quotations by people. The humorist writer must be an active observer, noticing amusing incidents, events, fleeting moments, funny conversations and people, making mental notes of sensory details that are amusing or funny. Writers should use the techniques of humour subtly, and not overuse humour, especially when it is directed at real people. Otherwise readers will see the humour as an attack. Writers must also be aware that humour is subjective. Not all readers will laugh at the same things. And so, the writer should focus on first writing the story, including the facts, and then adding humour. Humour should be secondary to a good story that is well written. Humorists are the rogues and mavericks of creative nonfiction. They often write what some people don’t want to hear. They often write what the collective consciousness is thinking but afraid to discuss publically. Yet people want to read the stories of humorists. Good humour writing makes readers laugh. What are the similarities and differences between humour and comedy writing? The terms “humour and “comedy” are often used interchangeably. Both terms have elements in common. Both are also different. Humour writing and comedy writing are often based on truth. Both frequently use the same humour devices, such as irony, satire, exaggeration. Both use the anecdote and storytelling. Both use the joke, which requires a setup and punch-line. Both use wordplay and the one-liner. Both tend to write about subject matter that is funny. Both writers write about serious topics, with the intention of making them funny. The intention of both is to create a comic effect. Despite the similarities, comedy writing and humour writing are different in certain respects. Usually, the humorist writes an essay or article or filler that is amusing or funny. The humorist’s material is intended to be read. Most humour writing is done for print publications, such as newspapers, magazines, or books. On the other hand, most comedy writing is done for TV sitcoms, comedy films, comedy sketches, and stand-up comedy. The comedy writer writes material to get laughs, usually in front of a viewing audience. Comedy writers are best known for writing material for situation comedies, comedy films, stand-up comics, and sketch comedy. Most comedy writing is intended to entertain by provoking laughter, while most humour writing is more subtle and cerebral, intending to amuse, inform, educate, and persuade the audience to change its opinion. The humorist won’t use profanity or shock humour, which is popular in comedy, especially by the stand-up comic. Unlike the comedy writer, humour writing can take the form of “filler.” This filler can be a joke, quote, or short anecdote that is used to fill space at the end of a column or page. There is no formula for filler. Satire. The writer mocks another person’s mistakes, foibles, follies, mishaps, flaws. Incongruity. The writer juxtaposes two different things not normally associated with each other. The incongruity of speech, character, behavior, or situation can result in a comic effect. For instance, the exterior of a mansion might be awe-inspiring, but the interior is like a home owned by a hoarder. A man might be dressed like a model in GQ magazine, but talk as if he’s uneducated. Irony. A figure of speech. There are several types, including verbal irony and situational irony. Verbal irony is writing that means something other than its literal meaning, with the intention of creating a comic effect. Sometimes, irony can be misconstrued as sarcasm by the reader. Irony is not sarcasm. Sarcasm means what is intended, while irony is a trope in which the intended meaning of words is different than the literal meaning. Situational irony occurs when the expected outcome is different than the actual outcome. Many true stories involve situational irony. For instance, the groom goes to the church, expecting to get married, but the bride-to-be runs from the church at the last moment. Exaggeration. Writers can use overstatement, embellishing what they hear and see and experience, to generate laughs. When using exaggeration, writers focus on exaggerating the attributes of a person, place, thing, event, experience, and so forth. Understatement. The writer makes a situation seem less important as it really is. Self-deprecation. Writers mock their own mistakes, foibles, follies, mishaps, flaws. Anecdote. A short and amusing story about a person or incident. Nonsense. Sometimes writers use the technique of nonsense to write a humorous piece. This technique defies logic. It is an unrealistic representation, intended to amuse or stir a laugh. Truth. Sometimes absurd facts and ludicrous quotations by people can be humorous. Parody. Occasionally, the writer imitates the artistic work of another writer or artist, mocking artistic style, the author, or topic, intending to generate a comic effect, such as amusement or laughter. Joke. Sometimes writers incorporate jokes into their writing. The joke includes a set-up and punch-line. The set-up provides the premise and background. The punch-line is the line that generates a laugh or amusement. When telling a joke within a personal narrative, the writer must use the element of surprise. The writer should not notify the reader that a joke is coming. Example: “Here’s a joke..” This type of humour technique should be incorporated into the essay or memoir. To study and learn from the humorist writers, read “Disquiet Please,” an anthology of personal essays by some of the best writers of humour, published by The New Yorker magazine. Don’t be mean-spirited or sarcastic. Instead evoke amusement or laughter with subtle humour, such as exaggeration. Observe the world in which you live, searching for humour events, incidents, people. Read the newspaper and watch television to unearth humour. Look at your own life for a humorous story. If an experience seems funny to you, write about it. Write about what makes you laugh, and so become an observer. This means you must be aware of the world around you, paying attention to the sensory details of each day. Make not of what you find humorous. Jot down a few notes in your journal. Use the techniques of humour to write a humorous personal essay, including exaggeration, satire, juxtaposition, irony, anecdote, and so forth. However, humour should be secondary to narrating a good personal essay. Write about humorous people who have passed in and out your life. Ask yourself: What makes them funny? Write the story or anecdote. Read the columns or books of humor writers, including David Sedaris. He often uses anecdotes to tell amusing stories about himself and family. By reading and analyzing humour writing, you will learn how to write it. Always focus on collecting the facts, and then writing the humorous essay. Use humorous figures of speech to amuse, such as similes and metaphors. Mine your memory for humorous stories. What are some of most amusing moments in your life? Why are they remembered? What is the significance? What is funny or amusing? Never make racial or religious slurs. Sometimes truth can be funny. Consider incorporating ludicrous facts and absurd quotations by people you didn’t expect would say such things. To write humour, you must learn the techniques of humor, such as exaggeration, satire, incongruity. Start by reading humorous writing by Mark Twain, Stephan Leacock, David Sedaris, and The New Yorker. Read their essays once for enjoyment, and then reread them to learn how these writers crafted their humorous essay. Focus on structure, writing style, techniques, and tone. Practise using the techniques of humor by writing in your journal, and by using the techniques of humor to write your own personal essays. Instead of forcing humour into the story, become an active observer, and notice humour unfolding each day, then write a story, based factual truth.